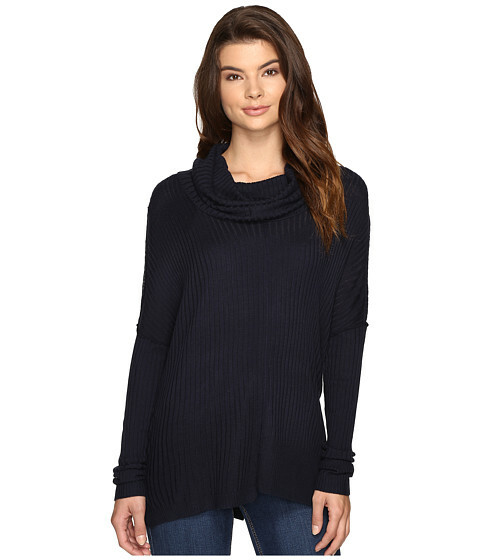 A little cowl neck sweater is the perfect thing to greet the cold-weather season.Light textured-stripe knit for a luxe look.Oversized cowl-neck collar.Long dolman sleeves.Slip-on design.Extended arm openings.Asymmetrical droptail hemline. 90% acrylic, 10% nylon.Hand wash cold, dry flat.Imported.Measurements:Length: 27 inProduct measurements were taken using size SM. Please note that measurements may vary by size.